If you know anything about me, you know that I’m a sucker for hiking challenges. Peak-bagging and high-pointing and red-lining get me more excited than you’d ever believe. There are a slew of such challenges all over New England, New York – as well as all over the country and world. I’m very keen on completing those in our surrounding states, which I’ll link to below as well. But there are several in our little state, although many seem to be fleeting or even possibly just hypothetical. As ever, if you are reading this and are familiar with any I don’t have listed here, please let me know. I thought this page would be a good idea to create since everything below is in different places all over my site. 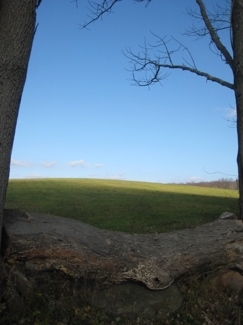 By the way, this picture is from somewhere near the Rocky Hill Trail in Bridgewater. I had completely forgotten about it, though I love it. And that’s sort of the point with all this stuff – get out there and discover new things and just enjoy it. 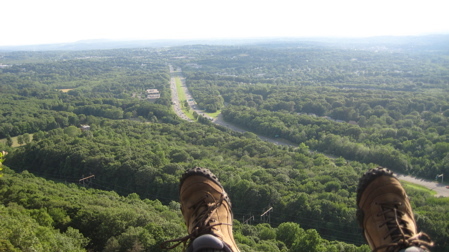 Connecticut State Parks “The Sky’s the Limit” 2015 Hiking Challenge – The state’s DEEP has expanded the excellent “No Child Left Inside” slate of activities to now include a year-long “hiking challenge.” You must go to their designated places (all in state parks) and take “selfies” of yourself at a specific viewpoint and with the state park crest sign. I’ve been to almost every one of them, but I didn’t get a medallion for my efforts. So maybe I’ll do them again in 2015 with my boys or something. I have no idea what happens with this in 2016 and beyond. The Connecticut 400 Club – our oldest and most venerable (as well as our most misnamed). The CT400 Challenge was created in the 1970′s when the CFPA trails totaled 400 miles. Since then, the mileage has more than doubled, but the name of the “club” remains. This one is a bit hard to pin down, but basically you are tasked with hiking ever inch of every trail in the CFPA Walk Books. Of course, those trails change frequently and new trails have been added since the last edition. To my mind, I’ll be a Club Member when I finish every inch of every trail that exists at such time. But you probably don’t have to be such a completist. You should certainly become a CFPA member if you aren’t, and keep up with their doings on their website. Oh – and if you complete this challenge, you’ll complete the next five below by default. What you get: I’m not even sure anymore. But the personal satisfaction of doing it is enough for me. 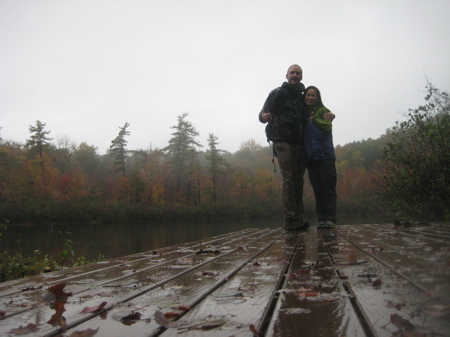 The Mattabesset Trail, 57.2 Miles, part of the New England National Scenic Trail. This centrally located horseshoe-shaped trail connects is the central section of Connecticut’s section of the NET. The Metacomet Trail, 59.6 Miles, part of the New England National Scenic Trail. From the Berlin Turnpike north to the Massachusetts line in Suffield, this is our northernmost sector of the NET. The Quinnipiac Trail, 18.3 Miles I believe this is deemed the CFPA’s oldest trail, hence its importance despite its short length. Getting a much-needed makeover at its eastern terminus in 2015. Appalachian Trail Connecticut Section, 55.3 Miles – Who doesn’t know what the AT is? I hiked this section in 1997, but that was way before CTMQ, so I’m doing it again. What you get: The ATC gives (gave?) state completion rocker patches. Sleeping Giant State Park trails, Hamden, 30+ Miles State Park trail network maintained by the Sleeping Giant Park Association. Completing this one requires a LOT of double-backs and planning, especially for the solo hiker. The rest of these hiking challenges are not part of the CT400 Club program… but that doesn’t mean they are any less excellent. Burlington Trail Master, Burlington, 39.3 Miles The majority of this challenge will be complete if you are a Tunxis Trail and or CT400 completer, but not all of it. Steep Rock Hiker’s Challenge, Washington, ~40 Miles – I’ve said it before and I’ll say it again: the three Steep Rock Association Preserves offer some of the best hiking in the state. Period. 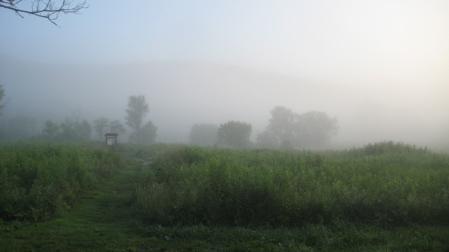 Ives Trail (Bethel, Danbury, Ridgefield), 20 Miles – I think this trail is completely cleared and blazed now. I love a patched hike that I can do in a day. Branford Trail, Branford, 28 Miles This one is a bit of a mystery to me, as I’ve heard you are only an official completer if you do the group hikes they put on twice a year. I don’t want to do that, but I want to complete the Branford Trail. Some of the sections are on RWA land, so a permit will be required, but whatever. 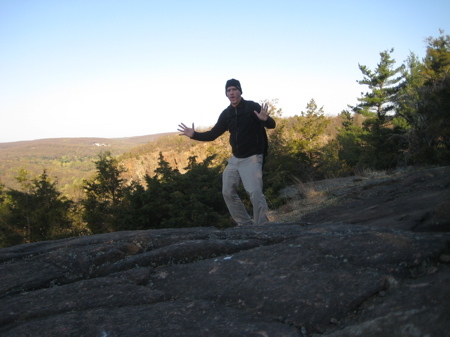 Connecticut 17’ers – the ten highest peaks in Connecticut, most of which are not trailed. I don’t recommend you try to complete this list. Let me be the lone idiot to do so. Connecticut Outdoor Quest Challenge – I made up the CTOQ when I was bored one day. It’s a work in progress and if I ever bother to promote it or this site, it may become a real thing to do. There are a million of these. These are those that interest me. State Highpointing – I love this so much. Adirondack 46’ers (the 46 ADK peaks over 4,000 feet ), the New England 67 (same deal around New England) which includes the New Hampshire 48 (same deal, in New Hampshire). And most of those peaks are part of New England’s Hundred Highest Peaks, but not all of them. Catskills 3500 Club – 39 3,000 foot+ climbs in the Cats (4 double climbs required in winter). Don’t forget the New England Fifty Finest! Eh. I know I’ll never do that one. Just too much driving! Though who knows… I’ll put up a page for it someday.